Photo Exhibition "Children of Palestine | Beyond Numbers" at the Gulf Photo Plus gallery space in Dubai - UAE, from October 20 to October 30, 2014. Opening event on October 20 from 5:30 to 8pm / Open daily from 9am to 4pm. 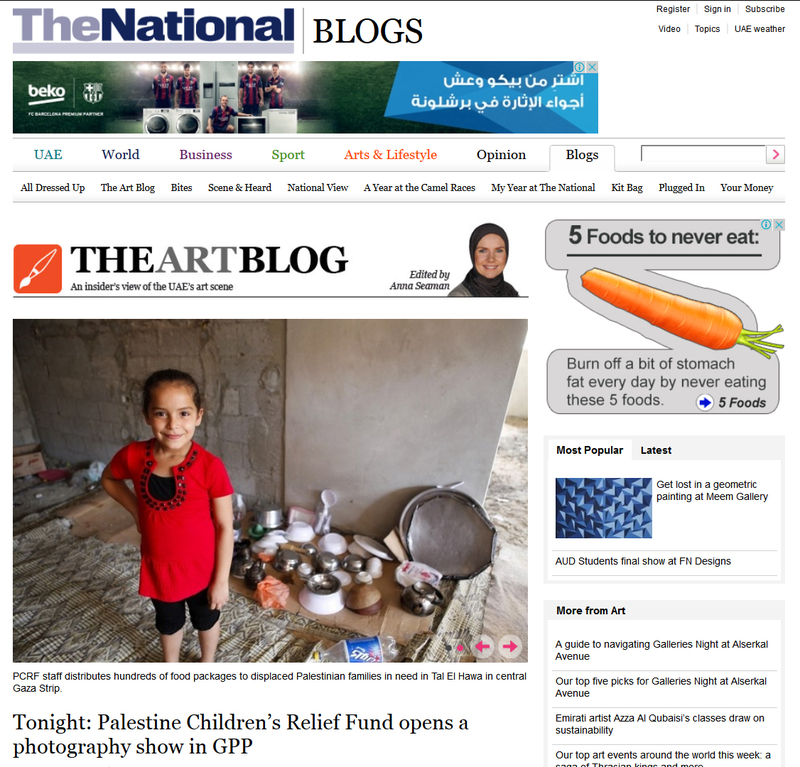 Staged Staged at Gulf Photo Plus and sponsored by Grand Stores Dubai, PCRF UAE’s photo exhibition “Children of Palestine | Beyond Numbers” brings together pictures taken by a variety of talented photographers, as well as by the children themselves. The opening night on October 20th 2014 was attended by more than 150 guests. Visitors enjoyed the photographic work and were able to interact with PCRF UAE representatives, sign up as new volunteers and discuss various ways of supporting PCRF. It was a joyful evening, filled with many fun activities: a surprise Dabke ‘flash mob’, a photo booth and delicious Palestinian food sponsored by SimSim restaurant. In a video room guests were able to watch PCRF short films. This summer a UAE-based filmmaker visited three kids in the West Bank that were treated through PCRF abroad in the past, in order to capture the positive impact PCRF’s help had on their daily life.